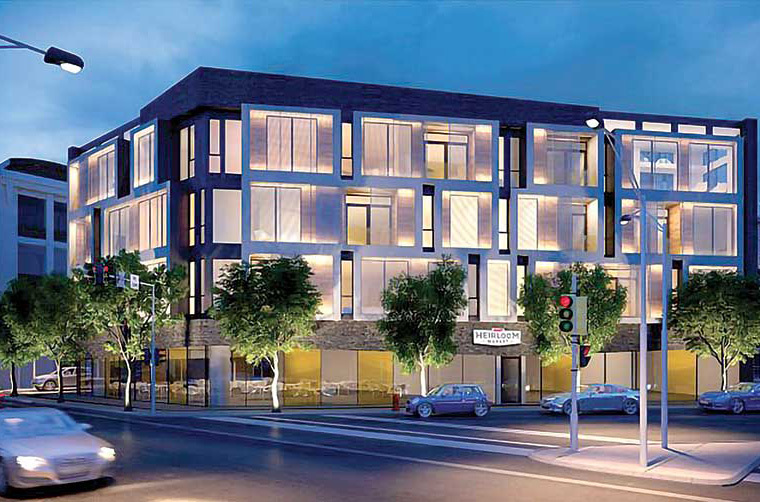 A rendering of Giant Heirloom Market. New store concepts, new executives and some financial setbacks marked the top 10 news stories in the Northeast region over the past year. United Natural Foods Inc. (UNFI) in October finalized its acquisition of Supervalu in a deal worth about $2.9 billion. The deal first was announced July 26. Providence, Rhode Island-based UNFI, a natural and organic products distributor, gained access to a full line of mainstream grocery items with Supervalu in addition to expanding its customer base and exposure across channels. Minneapolis-based Supervalu says the deal not only should be a boon to shareholders but also should be beneficial for its wholesale customers, thanks to access to UNFI’s product lines. Sean Griffin, previously UNFI COO, serves as CEO of Supervalu and head of the integration committee, which includes executives from both companies. Reporting to Griffin are former Supervalu executives Anne Dament, EVP-retail, marketing and private brands, and Mike Stigers, EVP-wholesale, who will support the Supervalu business operations. An update on the integration efforts will be presented on Jan. 16, 2019, UNFI’s investor day. New England Confectionery Co. (NECCO) in Revere, Massachusetts—a candy company with origins dating back to 1847 and brands including Necco Wafers, Skybar, Clark, Mary Jane, Sweethearts and Mighty Malts—announced in March that it was facing the possible layoff of 395 workers and the potential closure of its manufacturing plant if a buyer could not be identified by May 6. Ultimately, NECCO had to file bankruptcy, and in September Ohio-based Spangler Candy Co. had agreed to acquire the Sweethearts and Necco brands and related equipment after its bid to buy the whole company fell through. After buying the two brands, Spangler announced it would purchase an adjacent 20-acre campus in Bryan, Ohio, to provide additional room for warehouse space, future expansion and growth. “The combination of Dum-Dums, candy canes, Sweethearts and Necco Wafers will make Spangler a stronger company within the global confectionery market and will be a catalyst for growth. Our new brands and our campus expansion will have direct benefits to our consumers, customers, suppliers, employees and the communities where we do business,” said Spangler Chairman and CEO Kirk Vashaw. Spangler plans to relaunch Necco Wafers in 2019 and Sweethearts by Valentine’s Day in 2020. In early October Giant Food Stores revealed a new store concept and brand name for urban neighborhoods. 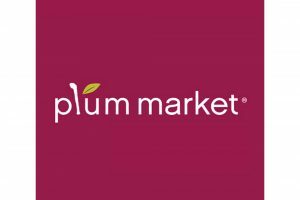 The new banner, Giant Heirloom Market, first will appear on a store in the Graduate Hospital neighborhood of Philadelphia. Though Giant has had a presence in Philadelphia since 2011 with its Grant Avenue store, the Giant Heirloom Market store will be the company’s first store downtown. The location, at 2303 Bainbridge Street, is the first of several stores planned for Philadelphia. According to Giant, the new format is the result of more than a year of neighborhood group listening sessions, market research and format exploration. 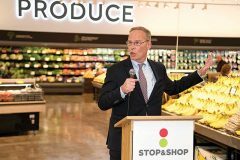 President Mark McGowan discusses Stop & Shop’s new look. Stop & Shop is rolling out a new look for its brand, starting with 21 stores in the Hartford, Connecticut, area. The new look comes with a $70 million capital investment to improve the in-store experience with a focus on delivering more fresh, fast, local and healthy options for customers. Hartford will serve as a test market for the brand to pilot features like an in-store smoker, poke bowl and taqueria stations and frictionless checkout, which will be used to inform updates across the brand’s 400-plus stores over the next several years. Stop & Shop also is investing heavily to lower prices on thousands of items that customers purchase most, while also offering a larger assortment of affordable items from store brands. The store’s new look includes a modernized store format and a new logo (seen in photo). 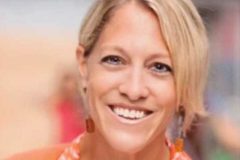 Whole Foods Market announced Jan. 8 that it had appointed 24-year company veteran Nicole Wescoe president of its Northeast region, overseeing 41 stores in New York, New Jersey and Connecticut. 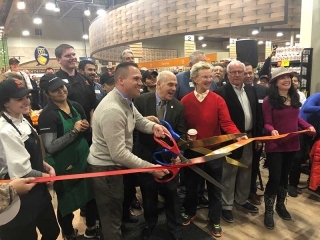 Her territory includes the East Coast’s first Whole Foods Market 365 store, opening in Brooklyn’s Fort Greene neighborhood in January, and a new Whole Foods Market in Bridgewater, New Jersey, that opened in March. During her 24 years with Austin, Texas-based Whole Foods Market, she spent six years as regional VP in the Northeast. In 2013, she returned to the Mid-Atlantic region, most recently serving as regional VP overseeing 15 new stores, four relocations and 10 renovations during her leadership tenure in the two regions. Wescoe is based at the Whole Foods Market Northeast office in Englewood Cliffs, New Jersey. Tops Markets LLC announced Feb. 21 that it filed for Chapter 11 bankruptcy protection and was pursuing a financial restructuring in order to eliminate a substantial amount of debt from its balance sheet. By November, the Williamsville, New York-based chain had emerged, with its debt reduced by approximately $445 million; with more than $100 million in liquidity; and with labor and pension issues resolved. Tops operates 159 supermarkets in Upstate New York, Northern Pennsylvania and Vermont, with five additional by franchisees under the store banner. Sprouts Farmers Market, a Phoenix, Arizona-based natural grocer, opened a 30,000-s.f. store in Ellicott City, Maryland, in mid-March. 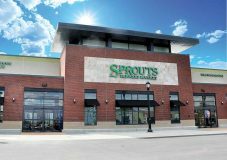 The new store is the first Sprouts in Maryland, marking the grocer’s expansion to the Mid-Atlantic region. The store employs nearly 120 full- and part-time workers. The Maryland store was one of six new locations scheduled to open in the second quarter of 2018. Sprouts planned to open approximately 30 new stores across the country in 2018. 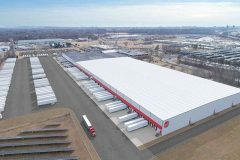 In 1995, Big Y expanded its three smaller distribution facilities into the former Rexnord Roller Chain Manufacturing Co. on Roosevelt Avenue in Springfield, Massachusetts. At the time, a staff of 27 people distributed produce and other products to the company’s 31 supermarkets throughout the region. 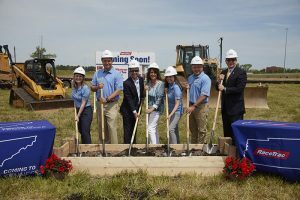 Three years later, Big Y’s corporate headquarters and store support center moved to the same site. The company now is planning an expansion in order to provide capacity for the next 20 years, including 20 new supermarkets. The expansion is expected to be completed over the next 18 months. Big Y operates 78 locations in Massachusetts and Connecticut, including 70 supermarkets, 39 pharmacies, Fresh Acres Market, Table & Vine Fine Wines and Liquors and six Big Y Express gas and convenience locations, and has more than 11,000 employees. Michelle Larson became president of Shaw’s and Star Market on July 23 following Paul Gossett’s transfer to lead Jewel-Osco. Gossett was appointed Jewel-Osco’s president following the sudden passing of Jewel-Osco president Doug Cygan in early July. Larson is a 23-year veteran of the supermarket industry. Throughout her career, she has filled a variety of roles in marketing, including in floral, service deli and meat. Larson was promoted to Albertsons’ Southwest division’s SVP of marketing and merchandising in 2016, her most recent role prior to joining Shaw’s, which operates about 150 stores in New England. Family-owned grocer Darrenkamp’s, which was founded in 1932 in Lancaster, Pennsylvania, announced in September that it would be closing. Three of its stores—in Elizabethtown, Etters and Mt. Joy—will be shuttered, while its Willow Valley Square store in Lancaster was sold to Giant Food Stores LLC. The liquidation process began immediately, with the official closing of all four locations expected to be completed by early November. “This was a very difficult decision because we will miss serving our neighbors and because of our long history serving the Lancaster community for so many years. Knowing how this affects our customers and employees made the decision even tougher,” said co-owner Dave Darrenkamp. Employees at all Darrenkamp’s locations had the opportunity to interview for comparable positions at the Willow Valley Square location as well as other nearby Giant stores, the grocer said.